Welcome to another exciting edition of Cake Slice Tuesday! Which appears more or less every Tuesday. Today is going to be a master post of links to great looking cookie recipes to try this holiday season! This is a family “recipe”, which is really a recipe modification, that I have been making since I was a child and in my opinion these are the best. According to my mom, only I can make the one true chocolate chip cookie, but that doesn’t mean y’all can’t try! Preheat the oven to 350F. Make sure the butter you are using has been sitting out for a couple hours so that it’s soft enough you can press it with your hand but not melty. Put the flower, salt, and baking soda into a bowl and fold it with a fork. Put the butter, sugar, and vanilla in another bowl and beat with an electric mixer until creamy. Add one egg at a time and beat again. Slowly add flower, about a third at a time. Stir in chocolate chips. Put on an ungreased baking tray and cook for 9 minutes in the middle of the oven. Sugar cookies are abundant around the holidays because they are a great cookie canvas for all of you edible holiday cheer. 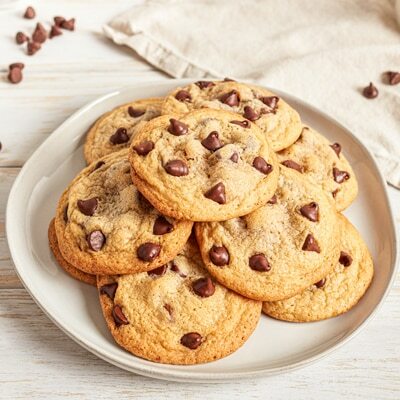 Here is a great recipe for a simple yet tasty cookie base. 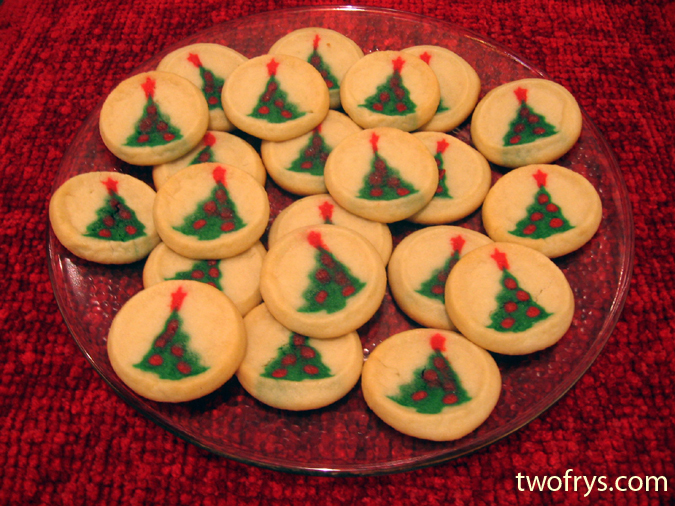 And if you made sugar cookies . . .
You are going to want to decorate them! 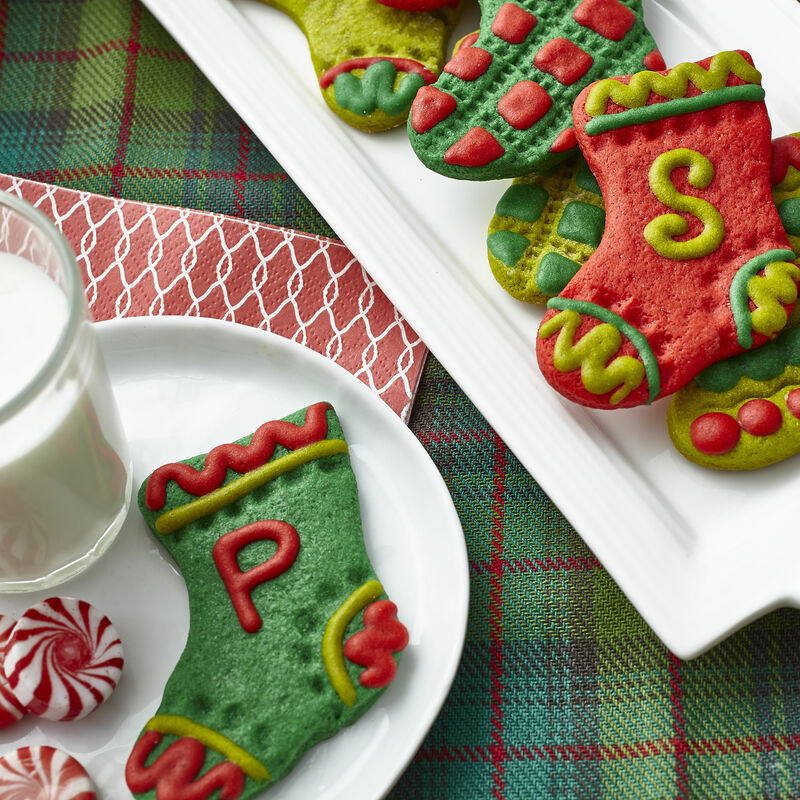 Here are some great Wilton blog posts on how to make some prime decorated cookies that will get all of your relatives jealous. These are not holiday themed necessarily but these cookies are absolutely amazing looking and will blow your guests away. You could always use festive holiday colors if you feel so inclined (golds, silvers, and light blues would be perfect. Also you should all follow this lady’s blog she is amazing). The holidays don’t seem to be complete without little people-shaped cookies made out of gingerbread! Actually, it turns out that Queen Elizabeth I is credited with the creation of the gingerbread man, when she threw a party and had cookies made to look like the guests. It’s a little creepy and you can read all about that and the history of gingerbread here. 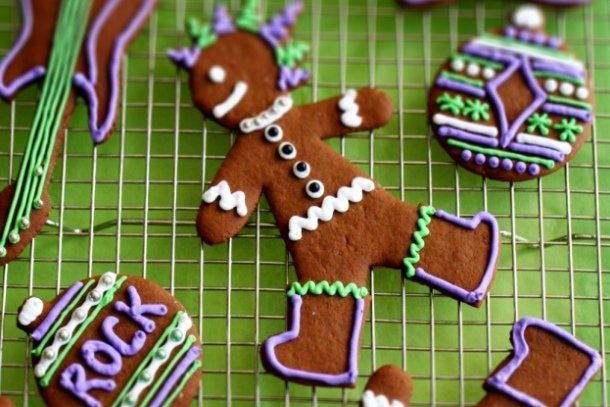 Some people like to let these harden and turn them into ornaments, but me, I’m a fan of edible gingerbread, so here is a solid recipe that also includes how to make royal icing and decorate your little dude. Extra points to those of you who add a touch of personality to cookie cutter cuties. Go to the doughboy. Something about these roll cookies makes me nostalgic for the holidays and there is nothing wrong with a little reminder of childhood, especially when it comes with less prep and cook time. Sadly, most of the cookies now come in weird pre-cut packages instead of the dough roll, but still a good option. Let me know if you ever see a roll of cookie dough like the good old days. Got a favorite holiday cookie recipe? Post it in the comments!